Central County Fire & Rescue (CCFR) congratulates Capt. 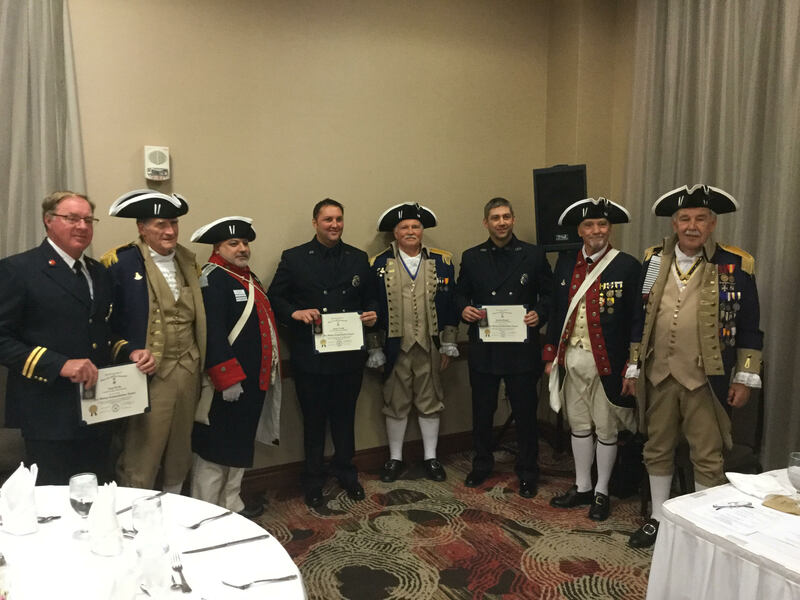 Thomas Wylie and firefighter/paramedics Justin Crady and Kenton Rogers, who recently received fire safety commendation medals and certificates from the Fernando de Leyba Chapter of the Sons of the American Revolution of Eastern Missouri. Chapter president Marvin Koechig spoke at the organization’s January meeting about a call where Wylie, Crady and Rogers responded to a report of a cardiac arrest, successfully resuscitating the victim, who made a full recovery. Koechig said that the crews’ quick action saved the victim’s life, exemplifying the courage and dedication of first responders. The Sons of the American Revolution is a historical, educational and patriotic nonprofit that seeks to maintain and extend the institutions of American freedom, patriotism and respect for our national symbols, including but not limited to promoting pride in being American citizens and the unifying force of e pluribus unum. Congratulations again to Capt. Thomas Wylie, Justin Crady and Kenton Rogers!